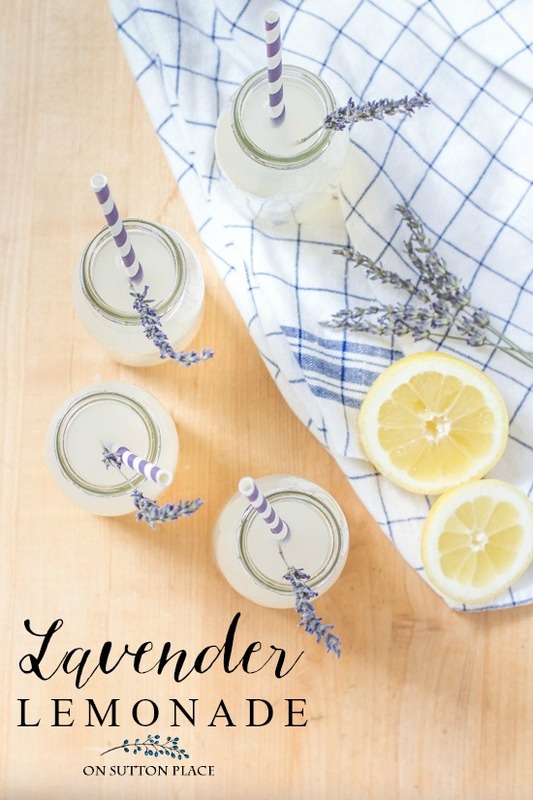 An easy, almost-homemade, lavender lemonade recipe that uses either fresh lemons or lemon juice concentrate. Either way it’s delicious! I love the taste of lavender, but it does have a strong, sort of woodsy taste. One way to compliment and tone down that taste is to pair lavender with another flavor that’s equally as strong. That’s why lavender and lemon are the perfect pair. This lavender lemonade recipe is made with simple syrup, so the actual lavender taste is light and in the background. The first couple of times I made this lavender lemonade recipe, I used freshly squeezed lemon juice…and it is delicious. However, let’s be honest. Juicing lemons isn’t for everyone and I know some of you don’t have time…so I found a shortcut. I discovered Minute Maid pure lemon juice from concentrate in the freezer section of my grocery store. It’s by the frozen juice and drinks. Click [HERE] to see what I’m talking about. Some of you might be able to taste the difference, but I could not. Since it’s frozen, it is easy to keep on hand and is a big timesaver. 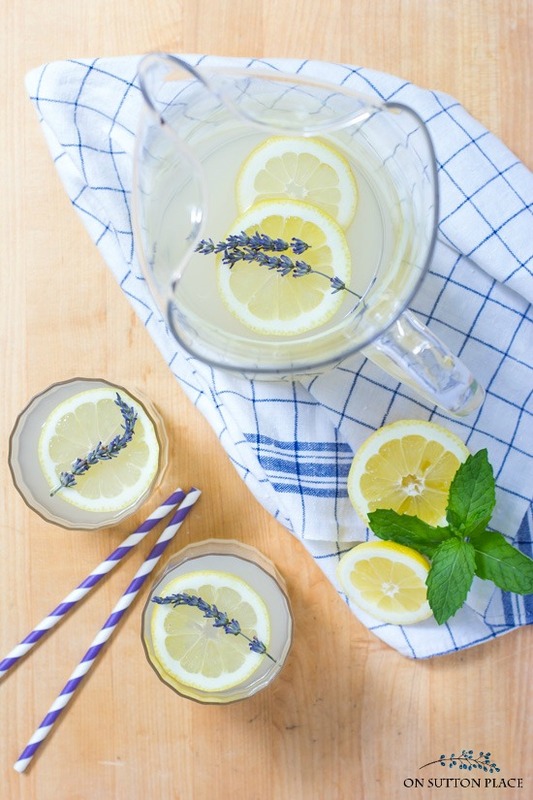 An easy, almost-homemade, lavender lemonade recipe that uses either fresh lemons or lemon juice concentrate. Either way it's delicious! 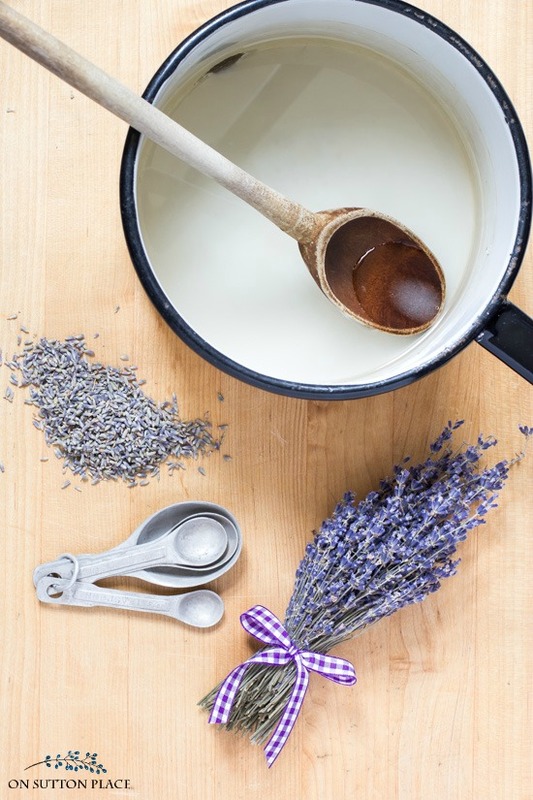 To make the lavender simple syrup: Combine sugar, water, and lavender buds in a small saucepan. Bring to a boil stirring occasionally. Remove from heat and let steep for 1 - 2 hours. Using a fine strainer, pour the syrup into an airtight container. Discard the lavender buds. Keeps in the refrigerator for up to 1 week. If possible, try to make the lavender simple syrup when you can spend some time in your kitchen. The smell is absolutely amazing. This easy method of aromatherapy gives you a sense of well-being and can literally lighten your mood. There is something about the smell of lavender that makes me smile. I love to look at it, but the scent is what is so special. It’s important to use culinary grade lavender buds or lavender that has been harvested from your own garden. Just be certain that if you use your own, it is free of any chemicals or pesticides. 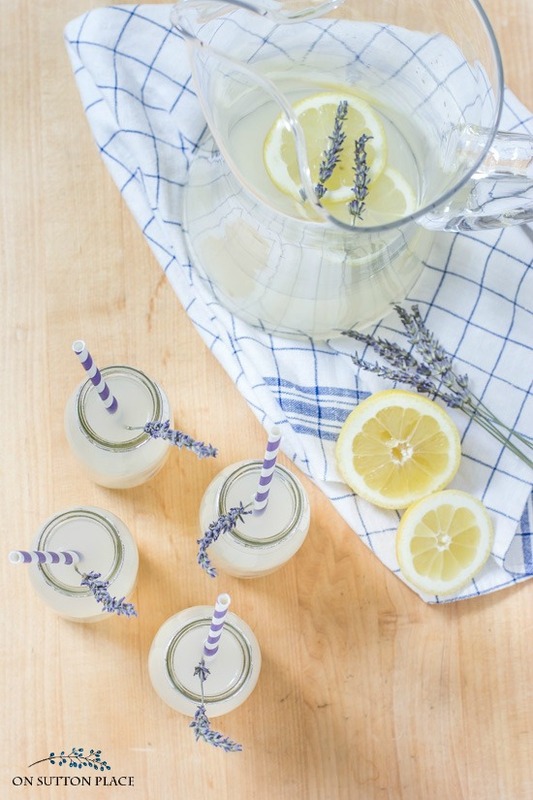 This fresh lavender lemonade is the perfect drink for spring or summer gatherings. The taste is refreshing and a little unexpected. If you think the lavender taste is a bit too strong, you can remedy that in one of two ways: Use 1 tablespoon of lavender buds (instead of 2 tablespoons) in the simple syrup OR reduce the steeping time. A few drops of purple or blue food coloring can be added for a bit more color. For maximum impact, serve from a crystal pitcher into clear glasses over ice. Garnish with fresh lemon slices. PIN THIS TO YOUR RECIPE BOARD! 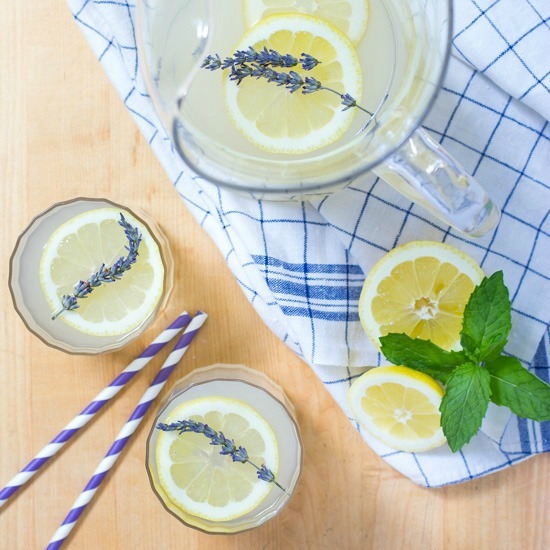 Very interesting recipe, never heard of lavender lemonade before.It does look very refreshing for a hot summer day. Just discovered your blog while searching for true blue perennials in NWO and love it. We share the same love of family, home, garden, and decorating.